If the gifts from “The 12 Days of Christmas” don’t quite float your boat, you might be at a loss for what to get your roomies. Before you freak out, remember that you see this person more than anyone else. So finding the perfect gift should be easier than wrangling six geese a laying—whatever that means. 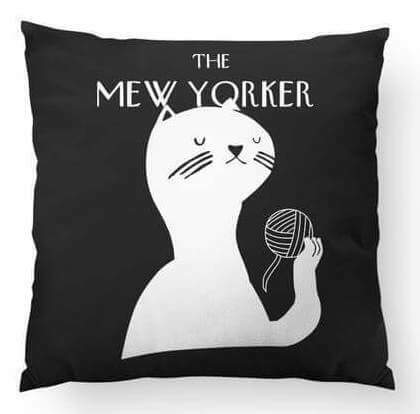 Check out 21 great gifts for every kind of roommate in your life. For the roommate who constantly begs you to let them get a cat, but can’t handle the responsibility or the financial drag of pet rent. Help your cat-loving roomie make a bold statement that says, “I’m a cat lady, but I’m sophisticated,” with this chic shirt. Prevent key confusion with color-coded tassels for the whole apartment. If your roommate consistently throws out dead or decaying plants, this tapestry is sure to spread some Christmas cheer. Requiring zero-watering, and no tender, loving care, this tapestry is as low-maintenance as plants come. Sure there was a time when getting socks for Christmas was maybe the least exciting thing to unwrap, but times have changed. 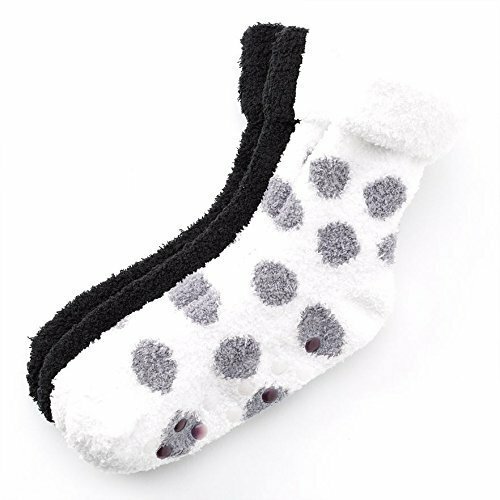 “Nice warm socks are the perfect gift for everyone because everyone needs socks,” Indiana University senior Jaron Kaufman said. Your roomie will thank you for this gift every time they trudge through snow on the way to class. Go for an accessory that can double as a sleep-aid. 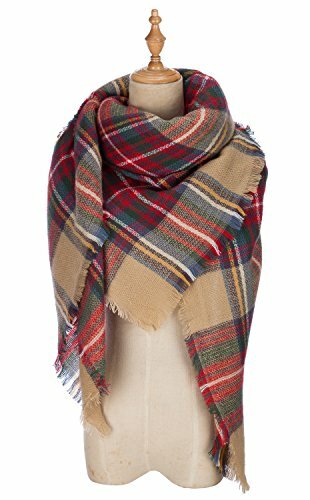 Blanket scarfs will keep your roommate snuggled in their winter coat while also making a fashion statement. Or if the opportunity arises, it makes the perfect blanket for an impromptu nap in the student union. If your group of live-in besties have had more than your fair-share of meltdowns, consider this motivational mammal. We’re all at our most vulnerable, and most ready to cry in the privacy of a steaming stream of water, just before we get in the shower. 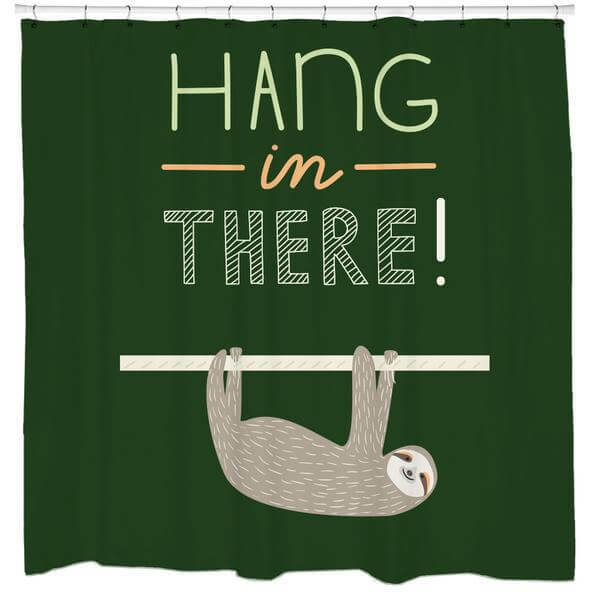 What better to fend off that emotional attack than a cheery sloth urging you to face the day? If your roommate needs some minor encouragement to crack a book once in a while, look no further. 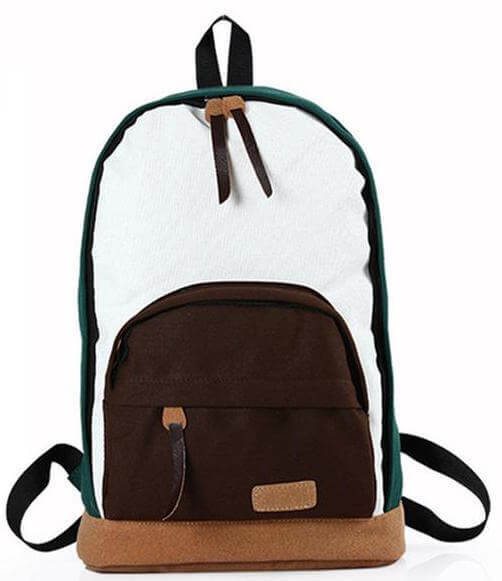 A stylish backpack might be just what they need to hit the library instead of the bars next semester. Chances are you and your roommates haven’t found an organized way to dry your delicates on the one day a month you actually do your laundry. 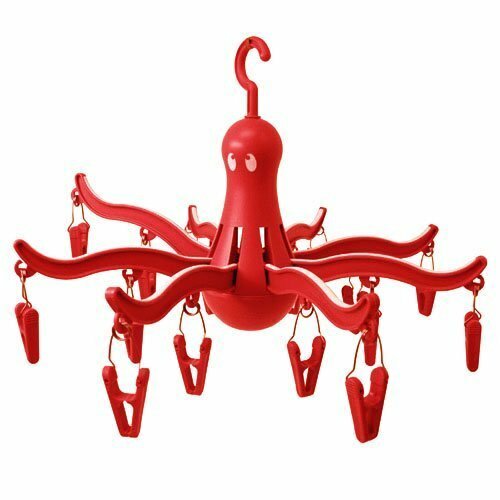 Enter the IKEA octopus. With eight tentacles each equipped with two clips, it’s the perfect companion to the small army of thongs going through the wash. This t-shirt makes it easier than ever to tell your closest bro that you think he’s foxy. “My roommates are outdoorsy,” said Kaufman. 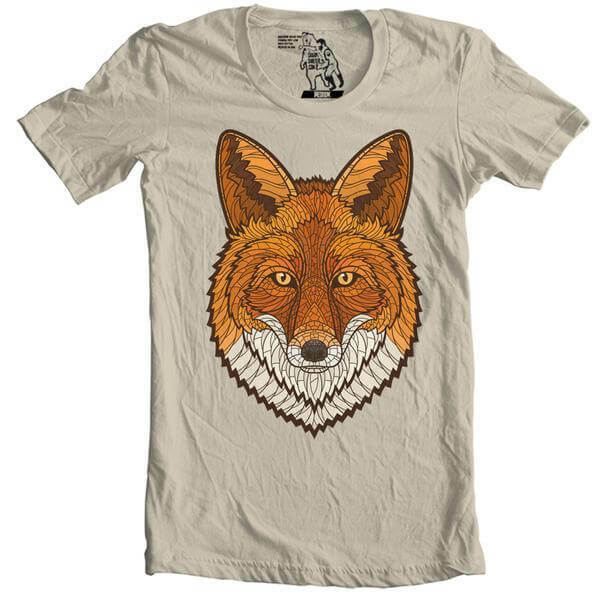 “Geometric shapes are very in right now and I want my roommates to look like cool kids.” If you want to go above and beyond, create a Fantastic Mr. Fox-themed gift basket complete with this shirt, some Wes Anderson and juice boxes to share. Maybe finals are over, but the leftover stress could hang around for days. The great thing about candles as gifts is that they aren’t just for the receiver. Their scents will calm the entire apartment’s vibe. That peaceful roommate who has not once puked on your favorite rug after a night out? She deserves a gold medal. But since you’re in college and don’t have a lot of gold to spare, opt for this shirt. Never shame them for preferring a night-in with their fuzzy friend to a night-out on the town. Glorify their homebody habits. Every apartment needs a conversation piece. 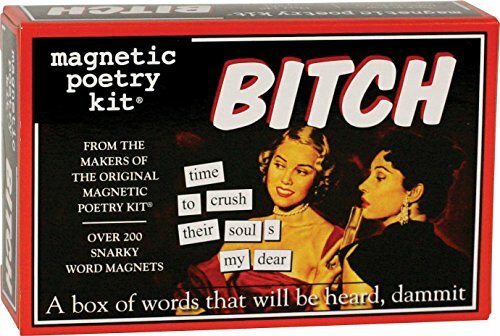 Make yours a bitchy set of magnets. “It’s witty, practical, inexpensive and still appreciated,” said IU junior Ally Burdick. Sure visiting parents might be slightly uncomfortable with the snarky remarks on your freezer door, but it sure beats passive-aggressive sticky notes between roomies. Sure you and your roommate might have luscious locks, but how many times have you had to free a hairball the size of a small dog from your drain? 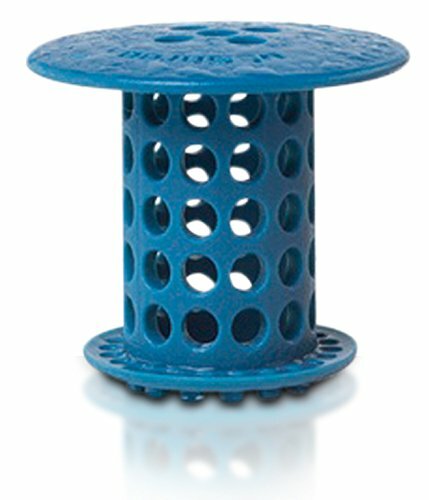 Prevent any future arguments about whose turn it is to get elbow-deep in the shower sludge and get a drain cover that will work for everyone. I think the logic is pretty clear here. 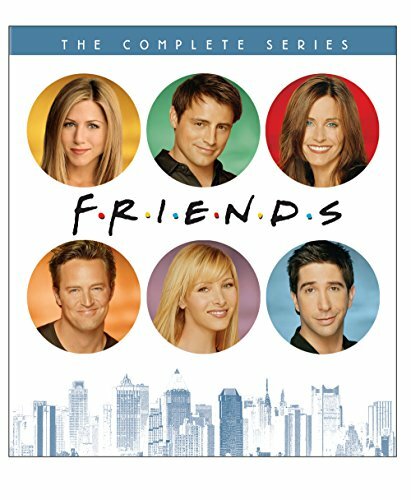 “It’s a classic and you’re basically buying them 236 episodes of love and laughter,” said Burdick. 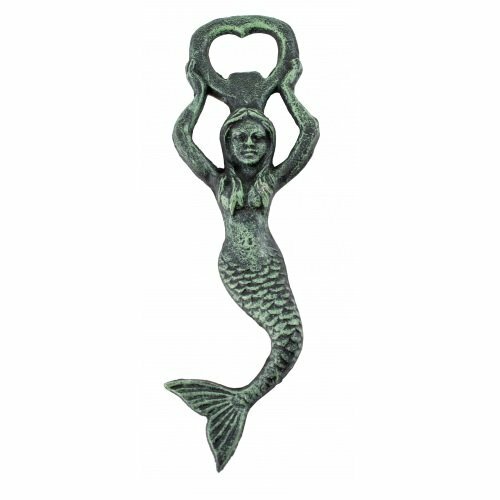 Functional and decorative, this bottle opener is perfect for any aspiring mermaid. “Bottle openers are usually either boring or ugly,” Ivetich. “This one is great for someone who appreciates an ice cold brew but also has a more whimsical taste.” Give the counters and door hinges a break and make drinking easier than ever before. For all those times you’ve accidentally ran the dishwasher when it was already clean. “I have four roommates. We make a lot of dirty dishes and have no idea when the dishwasher is being run,” said Kaufman. 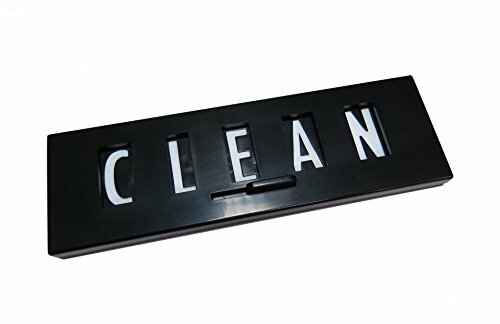 “A super easy to use sign like this would benefit everyone in the apartment.” Never waste energy again with this handy magnet keeping you updated on the dishwasher’s contents. 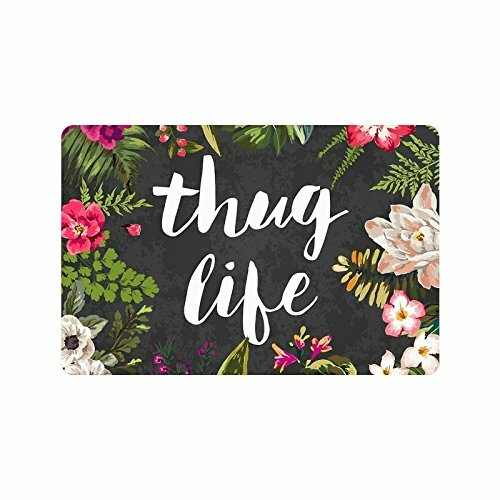 Even if the most “thug” thing you’ve ever done is speed through a yellow light, this welcome mat can brighten your doorway. Besides just being cute, it can help prevent all the salt from the sidewalk being tracked into your apartment this winter. College apartments have notoriously thin walls. “Even if you’re living at a normal volume, your roommate can probably hear you,” said Kaufman. 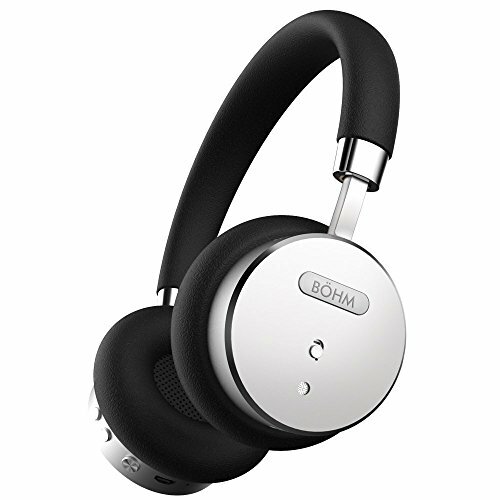 “So give them the gift of complete silence.” Keep roommate relations civil by keeping it down, but if that isn’t enough opt for some noise-canceling headphones for whomever you share a wall with. Whether or not you see pieces of your own life in Trainwreck, helping your roommate grow their book collection is never a bad thing. Is your roommate a notorious napper? Get her some gear. “As roommates, you probably know what each other does on a daily basis,” said Ivetich. 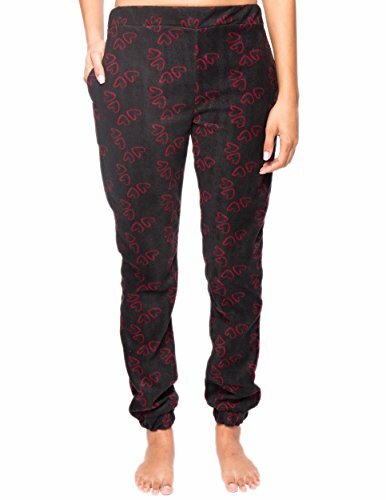 “If a roomie’s favorite activity is currently binge watching Grey’s Anatomy, then cozy pajama pants are the perfect gift!” If more than one of your roommates fits this description—no worries. They sell multiple patterns. Does your roommate like to listen to EDM at all hours of the night? Have they been blasting the second season of Stranger Things when you haven’t seen the first eight episodes? 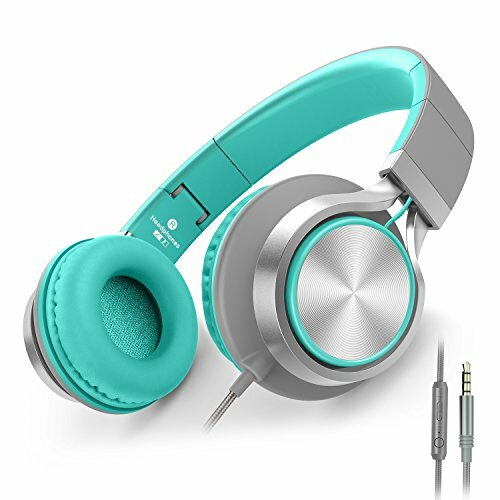 Headphones work as a cheap and polite way to tell your roomie to be quieter and stop stealing your stuff—since it seems every time you ask them to plug in, they take one of your pairs of earbuds. 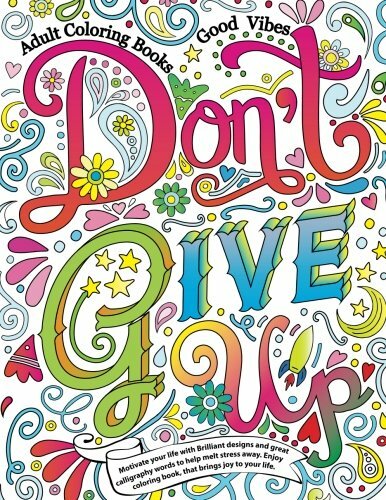 For the quieter creative type, tapping into the craze of adult coloring books can score big and make for a great roomie night in. “Coloring is something me and my roommate bonded over the first week of school. It was a break from the stress that college often brings, so I figured it would be the perfect gift to help her wind down after finals,” said University of Maine–Farmington freshman Mariah Langton. Just don’t spend all your pennies on those fancy colored pencils. Speaking of pencils, a set of your roomie’s favorite pens can serve double-duty as a great holiday present and way to prepare for the upcoming semester. You don’t need to buy them a fountain pen or anything over-the-top, but a nice multi-pack with a wide variety of colors shows that you pay attention to which pens they prefer and what color they need—and stops them from “borrowing” all of yours. Most college students seem to have an infinite supply of stylish hats and cute scarves, but when it comes to keeping their hands warm, they don’t have a single pair of gloves. Some people avoid them in spite of the weather, but many just don’t have any that they like or find comfortable. 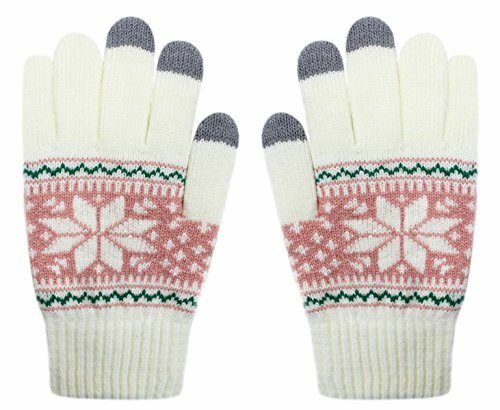 Help your roomie out by getting them some cool gloves to keep them nice and toasty in the snow. They might be ungrateful at first, but when they find them in their pockets during the 25-minute wait for the campus shuttle in the freezing cold, they’ll be thanking you. Of course, when it comes to keeping warm, nothing can rival the gift of a hilariously funny or totally adorable coffee mug. Help support your roomie’s caffeine addiction and let them be a little more lax on washing their dishes by buying them a cup that will brighten up their morning (or night). As a sweet bonus, use the mug as “wrapping” and stick in a few packets of their favorite tea and some Hershey’s kisses and other candy. 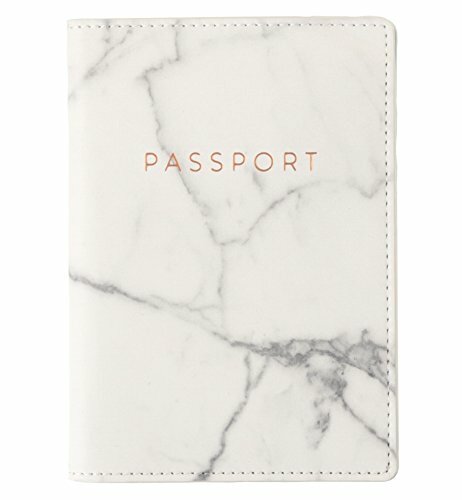 For people who may be more of the adventurous type, a fancy passport cover can be a great way for your roommate to keep you in mind even while away. “I’m an international student, which means I fly a lot, and I love traveling in general, so a passport cover would be a great gift. It’s something I know I’d love to get, but also would be willing to give,” said American University junior Lee Sandler. This would be a great choice especially for a roommate who will be spending a semester abroad. If you both plan on staying local, a special roomie trip or date can be a great alternative option. “A great idea would be money towards concert tickets or saying that you’re taking them for a sushi date or to get your nail done and that you’re in charge f finding the place and paying, and that they just need to tell you when they’re free,” said University of Maryland sophomore Carli Fine. 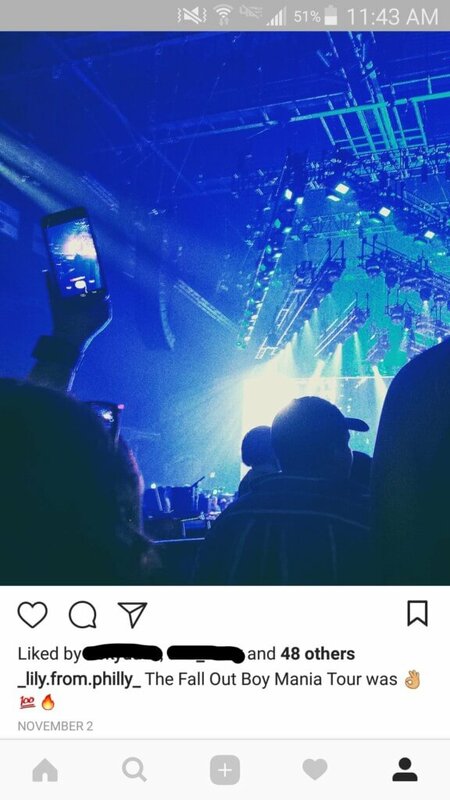 My roommate and I saw a Fall Out Boy concert together this semester, and while we each paid our way separately, it was the highlight of my year and I had a great time scream-singing with them in the crowd. Unfortunately, seeing a shared favorite band perform with your roommate may not work given the financial situation of many college students. Laptop stickers show your shared interests for less cash. Sites like RedBubble have tons of works from different artists and generally have sales if you buy in bulk. After all, what sort of college student doesn’t have stickers on their laptop or at least their water bottle? 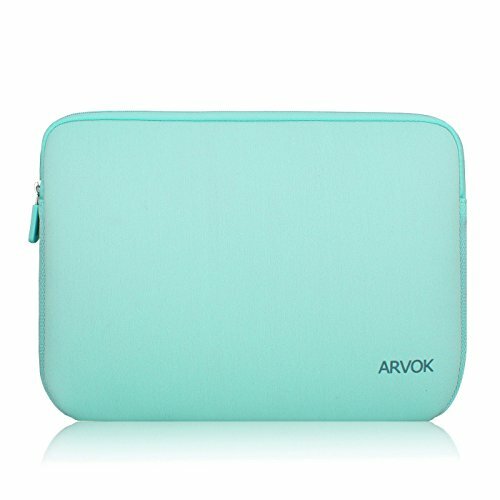 While on the topic of laptops, a laptop case makes a great gift for a more clumsy roommate. Some people prefer to use hard cases, but nothing beats have a sleek bag to slide your computer into for a quick jaunt to the library or when you want to look professional in a meeting. While higher-quality cases can cost a pretty penny, you can still find some nice ones for somewhere in the $15 to $25 range. Alternatively, a cool phone case can say that you care about your roomie and their electronics. “For me, a day by day calendar with cats would be the best gift I could receive. Planning out your day can be stressful, but pairing it with something you love makes it easier. 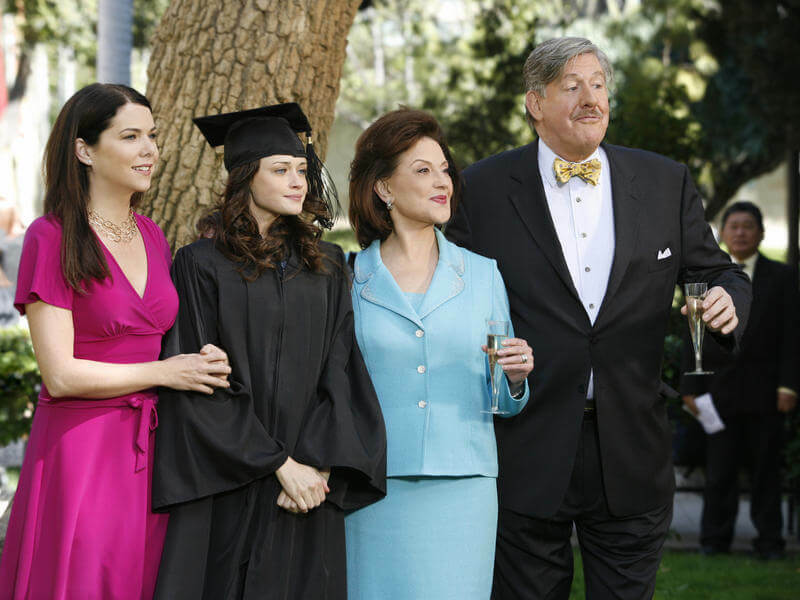 I also love guessing what the next picture is going to look like,” said Langton. You can find calendars with everything from puppies to shirtless firefighters holding puppies to even just comics or sudoku puzzles. No matter what, you’ll find something that will help your roomie to stay on top of their tasks and not need you to remind them to go to class. Phone chargers, like that pen I swore I just had, vanish the second you so much as blink or turn your back to them. 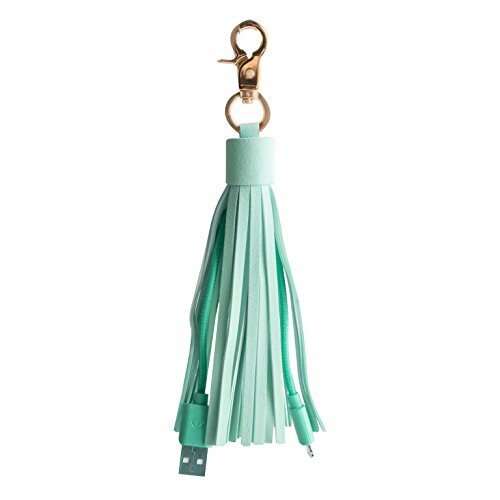 Help your roommate keep from losing theirs with a cute tassel charger that they can attach to their backpack or purse so they never go without power. Not only do these tassels juice up your phone, but they make for a fashionable accessory, too. Plus, if you buy one for your roommate, chances are they’ll let you borrow it the next time you lose yours. If you guys prefer to show off your best fashion in the comfort of your own room, then consider picking up some makeup for your roomie. “Last year my roommate and I talked about make-up a lot, including the products we wanted. Come Christmas, she bought me a Jeffree Starr Lipstick that I had been wanting, and it was one of the best gifts I’ve gotten in a while,” said American University sophomore Hattie Wade. Capitalizing on holiday BOGO sales and discounts makes makeup an economical purchase. Plus, your roomie pics will look Insta-worthy always. Maybe your roommate prefers something a little more soothing than lipstick. 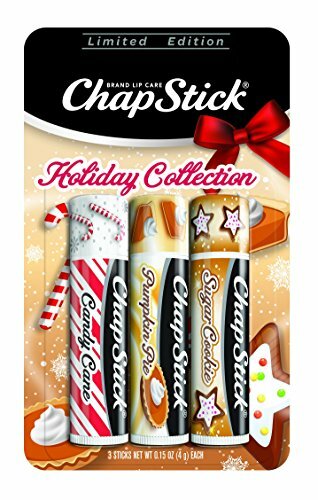 Chapstick works as a great gift at any point of the year, but especially right around finals season and the holiday, where stress and the weather can really crack you up. Some brands like EOS sell variety packs of three or five that you can slap a bow on and call it a day. Of course you can always do a grab bag, or just buy a multi-pack and use them as individual stocking stuffers. Regardless of how you do it, you know they’ll love it because who ever finishes a tube of Chapstick before losing it? While on the topic of moisturizing, grabbing a set of face masks from Ulta or Amazon could make a sweet self-care treat for your roommate. Like Chapsticks, some of the cheaper sheet mask sets could work as stocking stuffers, but with so many different fancy types out there, a jar of charcoal or cloud masks with a bow on top could make anyone’s day. A gift like this works great around finals and holidays, but also any time your roommate might need a bit of a skin savior. A mask of a different kind, the sleep mask, stands out as an essential for communal living. Believe me, I was a skeptic before, but after buying myself one for Cyber Monday, I have fully embraced the idea. 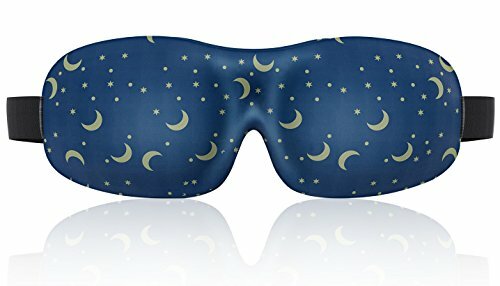 Whether your roomie can’t sleep when your desk lights are on or has a long bus ride home for the break, investing in a stylish sleep mask can help them to get their beauty rest. If, on the other hand, if your roomie likes to stay up late, a book light can help them to see while they work. This gift also sweetly suggests that they stop using the overhead past midnight. Bookstores, travel shops and online retailers all sell these lights, which come in tons of different patterns and colors. 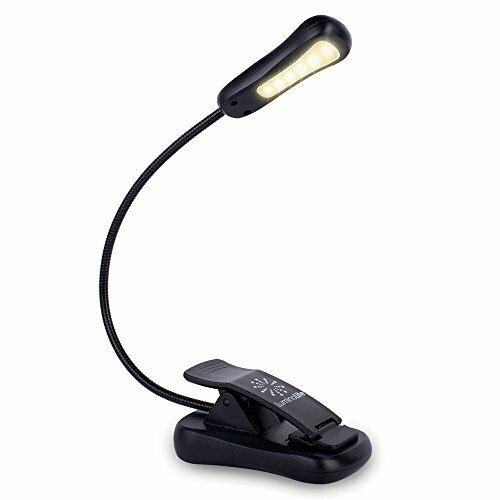 Consider getting a clip-on one so your roomie can attach it to their desk or bedframe to light up their life. 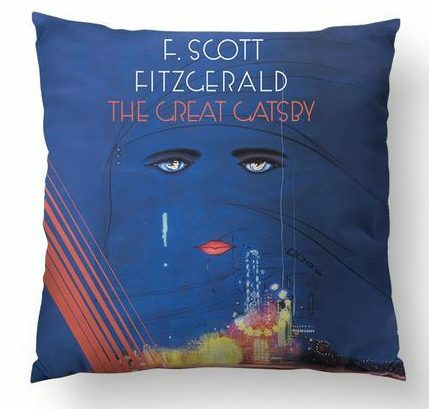 Get your roommate something to cuddle up to while they read or binge TV with a decorative throw pillow. 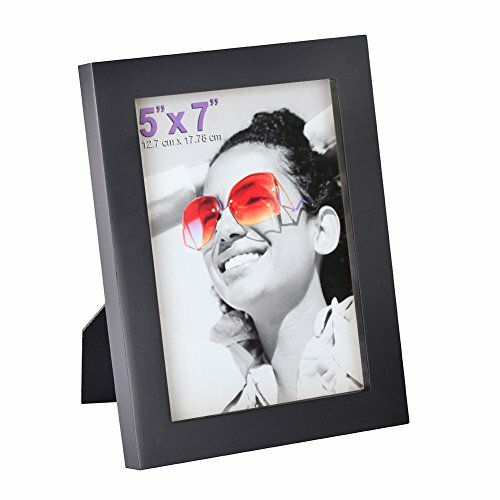 You can find a cute or humorous design, or even order one with your own picture printed on it. Show them some love by getting one with a photo of you two on it, or buy them one with puppies or other patterns. After all, the more pillows a room has, the better. “It might seem like a strange gift, but I’ve gotten umbrellas for two different people as grad gifts and they’ve loved them,” said Fine. 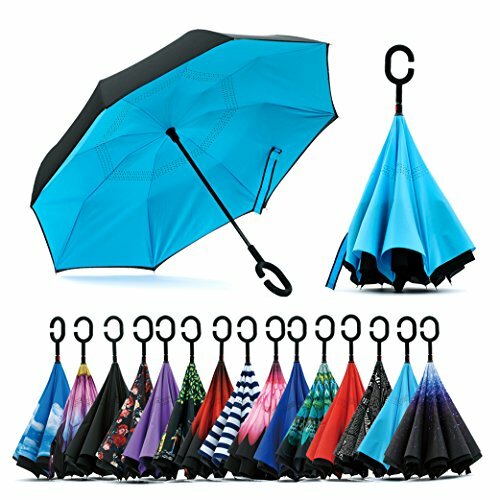 “I was inspired by my friend Hannah whose mom got her an inverted umbrella for Christmas last year.” After losing my umbrella on campus at the beginning of this year and getting caught in the rain without one, I have to agree that this gift will come in handy for long walks on campus. Last but certainly not least, go the sentimental DIY route and make your roomie an album full of pictures and memories that you two have shared. This may work better as an end of year gift, but if you buy a scrapbook where you can add pages, it can be a great ongoing collaborative project. Find a book and pages you like at the nearest Michael’s or A.C. Moore and throw in snapshots, movie tickets and whatever else you have that attests to your adventures together. Check out 10 more gifts that any kind of roommate will love. I know we’ve all heard those roommate matching horror stories. You put your ideal roommate on your application and it’s almost as if the apartment complex picked someone who is everything you’re not. To give them the benefit of doubt, maybe they were thinking opposites attract? Regardless of if you and your roommates are BFFs or not, Christmas came faster than you thought and now you’re scrambling to find gifts for everyone. Whether you like them or not, here are 10 more gifts your roomies would love to see under their tree. If you’re being honest, maybe it’s you who has the incredibly loud snoring problem and your roommates need some relief from you. 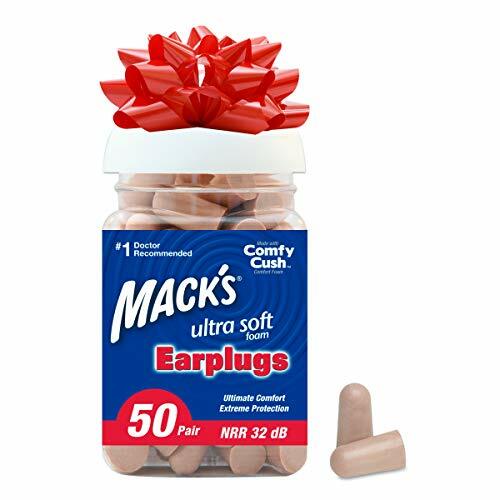 Give them the gift of peace and quiet this holiday season and they’ll be your besties forever. 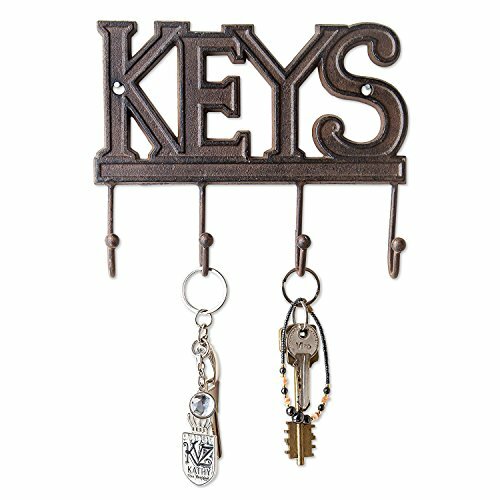 For the roommate who is constantly loosing their keys and asking you to run home to let them in. They’ll be happy they always have a place for their keys and you won’t feel so guilty for not rushing home right away to let them in when they send you that SOS text. Truthfully, this would be a great gift for anyone. Everyone can enjoy and appreciate the gift of comfort. And with the winter months quickly approaching, we could all use the extra moisture. 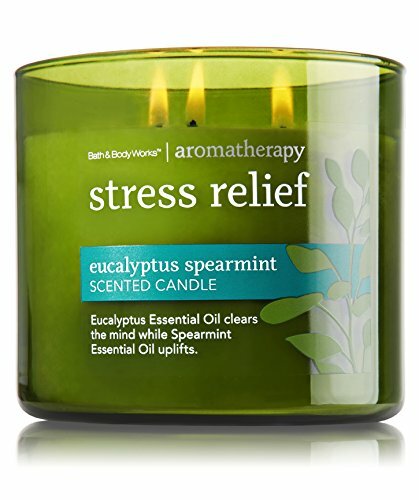 With the end of finals, your roommate will be glad for this stress reliever. 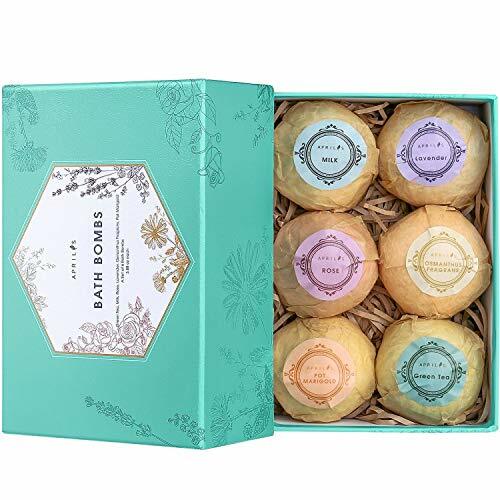 Bath bombs make an excellent gift for anyone looking for a little relaxation. Who doesn’t love a good card game? Well, adult card game anyway. With this gift, you and your roommates could have a game night complete with good a lot of wine and great friends. 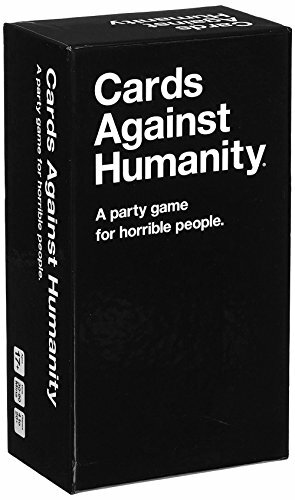 But, I wouldn’t recommend playing this one on parent’s weekend. I hear it sent the last parent who played to the hospital with a bad case of disappointment. This gift makes the perfect gift for the your amateur wine connoisseur roommate. 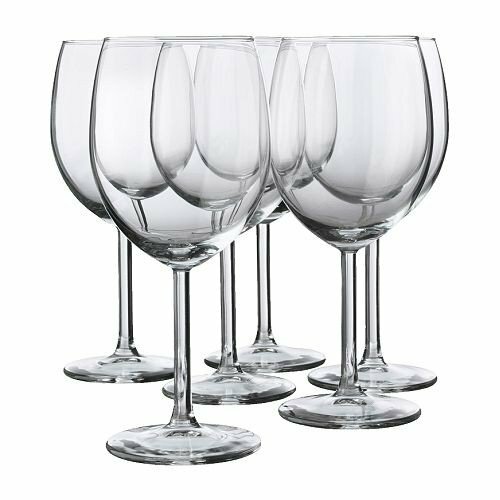 Red, white, it doesn’t matter, wine glasses don’t have a preference. Are your roommates big into nature and all that? They’d definitely appreciate a house plant. If they’re not big into nature, then a fake one will do just the same: all of the looks with none of the hassle. Let’s say you don’t live with random roommates. Maybe you live with your BFF and she’s constantly “borrowing” your stuff. 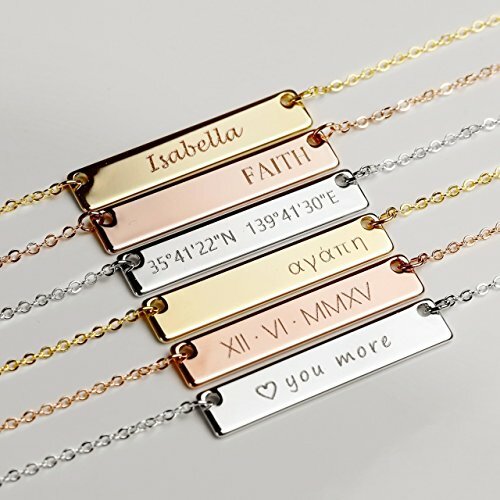 Get them a customized name necklace so you never have to worry about them posting another picture in your favorite necklace again. It’s the most wonderful time of the year. The time of year when there’s a Christmas party almost every day of the week. 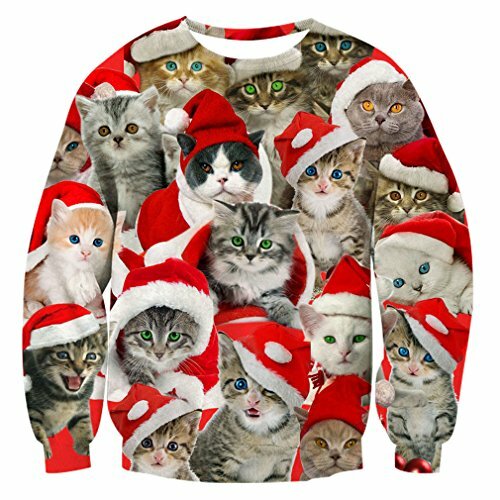 The perfect Christmas party attire: an ugly sweater. The walls of your apartment are paper thin, so you probably heard every word of your roommate’s mom yelling at them that they shattered their phone screen again. 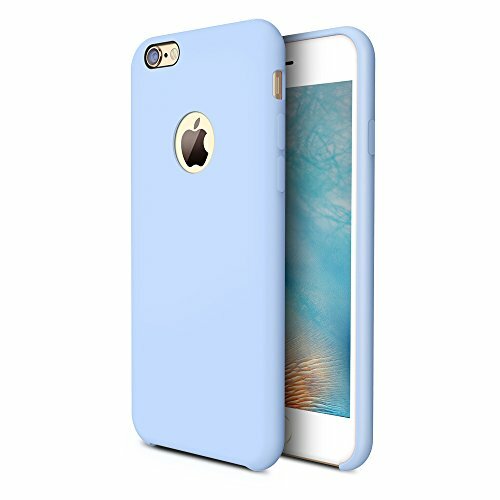 Save your ears and theirs and get them a protective phone case. 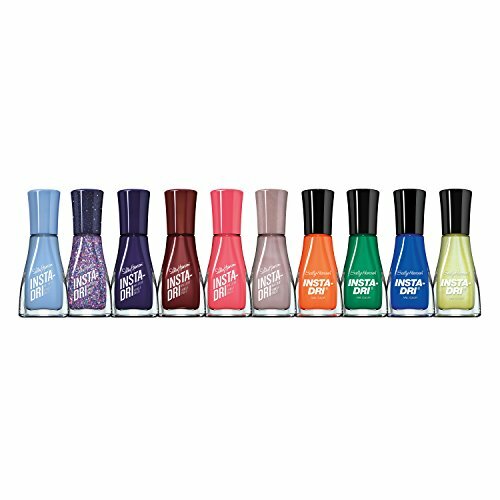 Not only does nail polish adorn your hand with vibrant colors and patterns, but painting your nails acts as a great stress reliever. Your roommate can go crazy with set of 10 quick-dry colors. Give the gift that gives back. 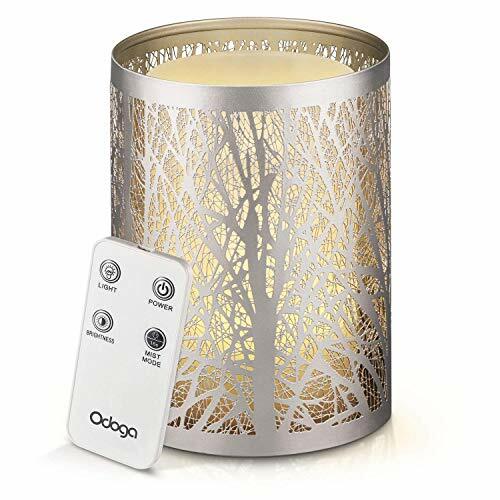 With this essential oil diffuser, not only will you give a thoughtful gift to your roommate, but you’ll reap the benefits of a pleasant smelling room all year long. Go with pine tree or fire scented oils for the holiday season, or stick with classic scents like rosemary, orange or lavender. Either way you can’t go wrong. Everyone loves chocolate. So, if you’re looking for a cheap way to show your friends you care, gift them this sweet treat. 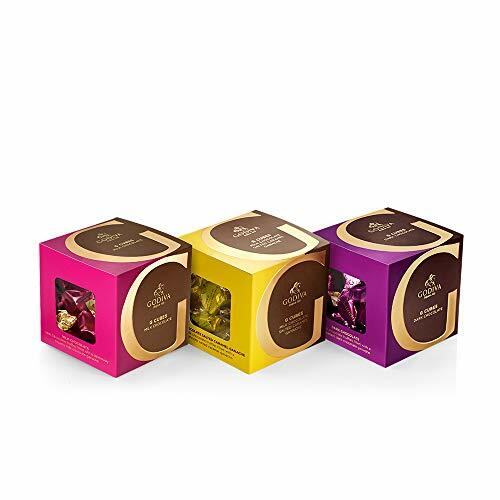 This Godiva box provides a fun, chic and easy example of the perfect chocolate present. Maybe, if you’re lucky, you’ll even get to take a bite. Never again will your roommate ask to borrow your phone charger. 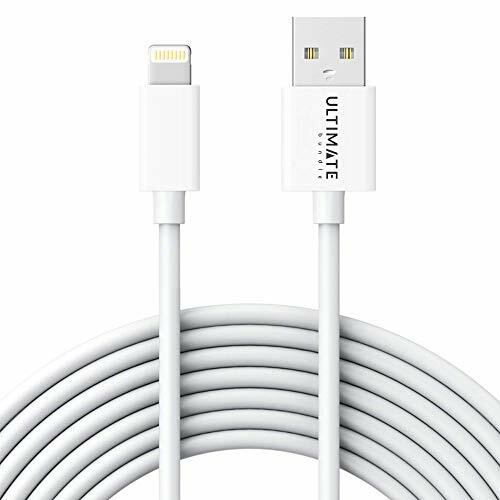 With this ten foot long charger, your roommate can plug in no matter where they stand, sit or lay in the room. It’s the absolute perfect gift for the phone fanatics in your life. Okay, so luggage definitely doesn’t seem like the perfect gift for a roommate, but they’ll thank you big time when it comes time to travel home for the holidays. 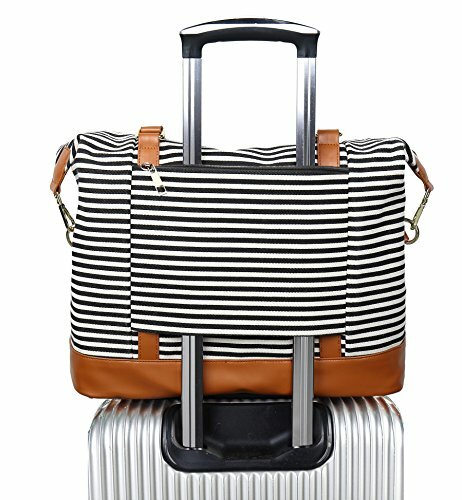 You will never go wrong with a stylish carry–on, and these Bluboon Weekender Bags come in so many styles and colors. Your friends will definitely be the envy of every traveler this holiday season. Everyone hates losing earrings. 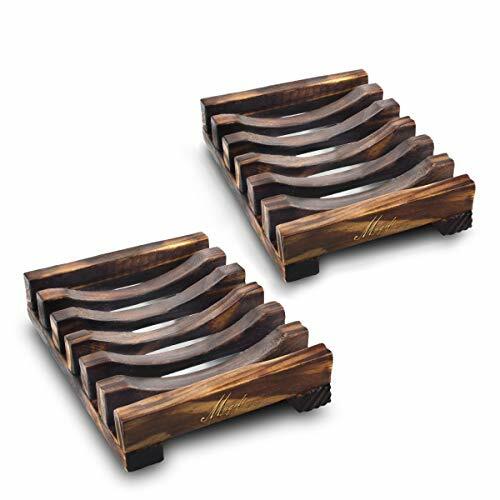 But with this earring holder, you’ll never have to worry again. 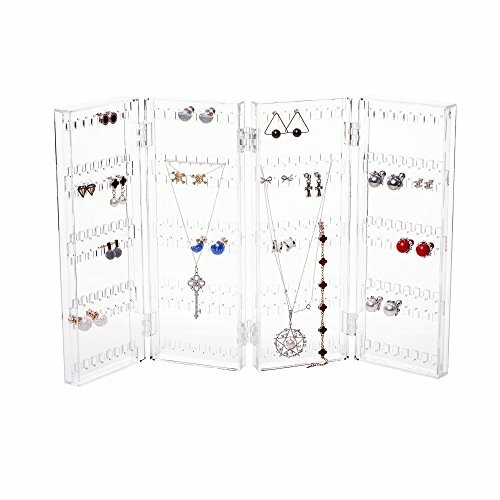 Just hang up your studs or hoops (or really any type of jewelry), and revel in the organizational miracle. Your friends will be grateful for such a beautiful display, and you’ll be thankful you’re not finding stray earrings laying around anymore. If you need an easy way to make your bathroom more chic, think about gifting a stylish soap dish to your roomie this year. They can take one home to their bathroom and leave one in the dorm. Plus, using a soap dish will instantly make you and your roommate feel 100% adult. Again, this gift might not jump to the top of your list as THE must-have gift of the season, but your roommate will appreciate the extra storage space. Now, they have multiple bins in which they can put clothes, food, makeup and more. 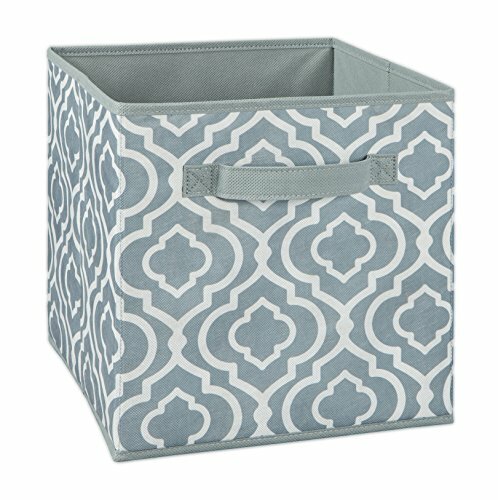 And, with all the different styles and colors to choose from, they can tailor their storage bins to the exact design of the room. It’s really a win-win. College students need coffee more than anything else. 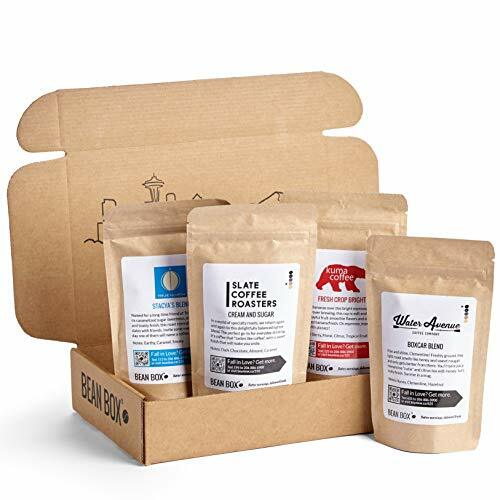 So why not give the gift of caffeine and treat your roommate to an entire sampler of new flavors this holiday season? This sample offers four different choices of flavors plus roasting profiles and tips on brewing. Throw in a coffee mug, and watch your roommate become a true connoisseur. Ok, what’s cuter than a photo of you and your roomie in a photo frame displayed in your room? 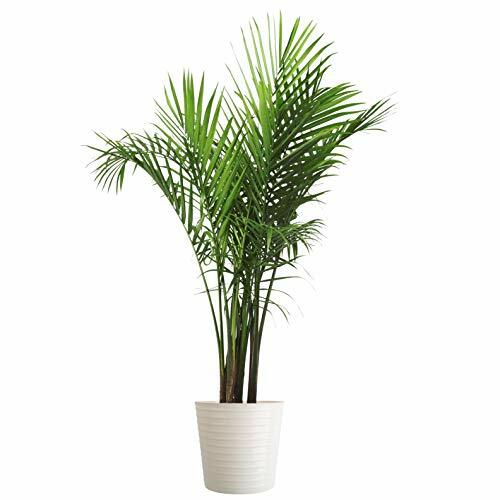 Choose a sleek and classic design like this one, or go for something patterned to fit the design of your room. Of course, choosing the photo to go inside is a whole other story. *Updated on November 28, 2018 to include list items 41-50 by Alyson Peters. *Updated on December 26, 2018 to include list items 51-60 by Brooke Miller.